Bogota embraced accessibility-based planning, linking transit to housing. 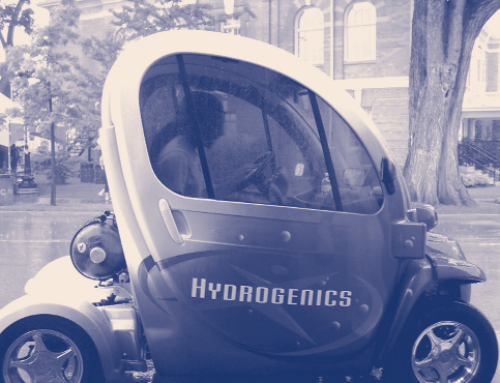 Bogotá, the Andean capital of Colombia and home to some seven million inhabitants, is widely recognized for having mounted one of the most sustainable urban transport programs anywhere. 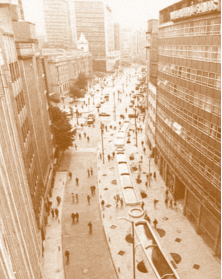 In 2000, the city began operating a high-speed, high-capacity bus system, called TransMilenio, building upon the experience of Curitiba, Brazil’s much-celebrated success with dedicated busways. 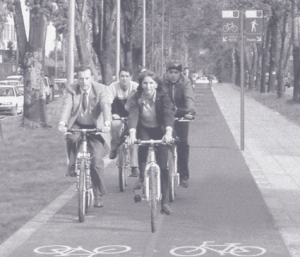 Bogotá’s leaders went one step further, giving investment priority to pedestrians, followed by bicycle facilities, then public transit, and lastly cars (i.e., inversely to travel speeds). More than US$1.7 billion has been poured into transport infrastructure and related urban projects in Bogotá in the past decade. 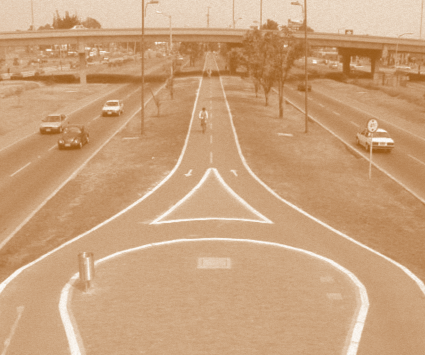 The US$180 million Bogotá spent on bikeways alone from 1999 to 2002 was about half the amount the entire United States spends annually on cycling infrastructure. Such outlays might seem out of proportion for a third-world city where half the population lives in poverty. The World Bank has been roundly criticized for past investments in pricey metros that predominantly benefit the professional class, and now the Bank requires transit projects it funds to meet a “poverty alleviation” litmus test. Bogotá bus and bikeway investments would seem to pass such a test, but have they? 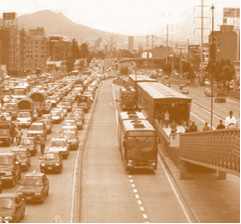 Within two years of being proposed, the TransMilenio bus-rapid transit (BRT) system was up and running, carrying 800,000 daily passengers along a busy 40-kilometer road axis. By mid-2005, the system had expanded to four lines stretching 55 kilometers. Plans call for TransMilenio to eventually blanket the city with some 400 kilometers of dedicated busways, serving 5.5 million passengers per day. TransMilenio is the brainchild of a succession of progressive and visionary mayors who felt that giving priority to public transport as well as pedestrians and cyclists was essential to relieving “traffic anarchy” and creating a functional, livable, and sustainable city. Mayors, transit managers, and consultants from around the world come to marvel at Bogotá’s transit achievements in hopes of bringing lessons home. TransMilenio is the gold standard of BRT. 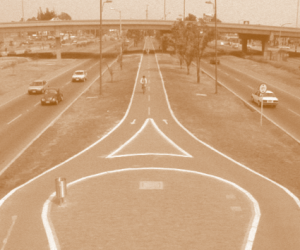 Bus lanes sit in boulevard medians, with weather-protected, attractively designed stations every 500 meters or so. Because double lanes enable buses to overtake each other and raised platforms expedite boarding and alighting, the system has a throughput of 36,000 persons per direction per hour, a number that matches many of the world’s metro systems. Presently, around a million passengers ride TransMilenio buses each weekday, four times the ridership of the 28-kilometer Metro rail system in Medellin, Colombia (and achieved at less than one-fifth of its construction costs). Indeed, the most serious problem the system faces is extreme overcrowding. In 2004, near-riots that required military intervention broke out at several stations because jam-packed buses were leaving people stranded. Station access was carefully planned. Parking is limited to TransMilenio’s end stations. Nearly half of the 62 stations are served by pedestrian overpasses. A phalanx of sidewalks and bikeways feed into most stations, many embellished by attractive landscaping. Some two dozen civic plazas, pocket parks, and recreational facilities lie within a half kilometer of busway stops. These investments have paid off: seventy percent of TransMilenio users reach stations by foot or bicycle. Within the first year of opening, Transmilenio registered the following impressive numbers: a 32 percent reduction in average travel times by bus, a 93 percent drop in bus accidents, a 98 percent passenger approval rating, and higher property values along the busway corridor (from not only enhanced access but also lower crime rates and noise levels). Eleven percent of TransMilenio riders were former car drivers. By its fifth anniversary in 2005, TransMilenio was credited with a 40 percent drop in air pollution levels and a 32 percent decline in average commuting times, all achieved without operating subsidies. 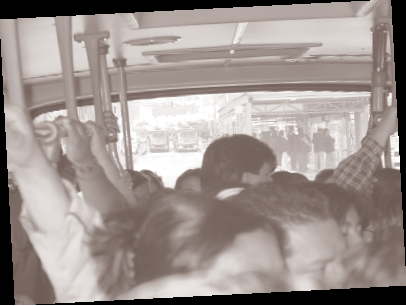 Because of overcrowding, accidents, and unanticipated problems like busway pavement buckling (partly due to the accelerated construction schedule), as time passed many middle-class “choice” riders stopped taking TransMilenio. The system’s market share of total trips fell from twenty percent in 2002 (two years into operation) to twelve percent in 2004. Surveys reveal that TransMilenio’s overall quality rating flip-flopped from best to worst in comparison to taxis, public bus, minibuses, and private coaches. In 2001, TransMilenio received a score of 4.56 on a 1-5 scale, where 5 is very good and 1 is very bad, highest among the five major public transport modes. By 2004, its average score had fallen to 3.34, lowest among the five modes. 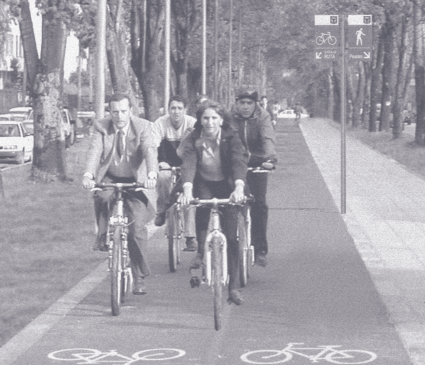 Bicycle facilities extend well beyond TransMilenio stations. 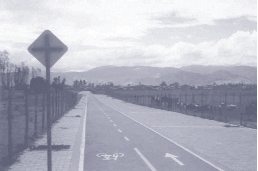 Currently, Bogotá boasts over 250 kilometers of dedicated bicycle paths called ciclorutas. 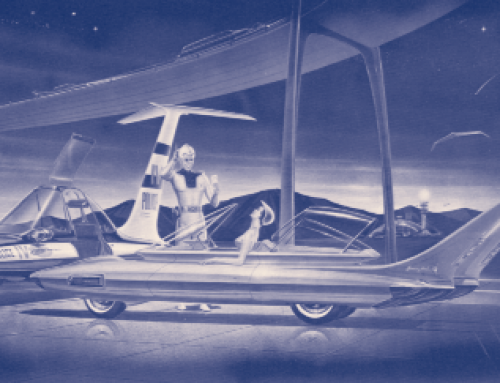 The Dutch-advised long-range plan calls for the figure to double over the next thirty years. Since the mid-1990s, the share of daily trips by cycling has grown from 0.9 percent to 4 percent. A hospitable environment has helped: perched in a flat valley high in the Andes, Bogotá enjoys a mild climate in spite of its equatorial setting. High densities (at 12,000 persons per square kilometer, Bogotá is one of the densest cities in the Western Hemisphere) and mixed land-use patterns also help make cycling attractive. Three quarters of daily trips in the city are less than ten kilometers, and bicycles can often cover that distance faster than cars through the city’s traffic-snarled streets. To further promote cycling, Bogotá officials have held car-free days on the first Thursday of February since 2000. On Sundays and holidays, the city closes 120 kilometers of main roads for seven hours to create a Ciclovia (“Cycling Way”) for cyclists, skaters, and pedestrians. When weather’s good, as many as a million and a half cyclists hit the streets of Bogotá on Sundays. Bike-friendly initiatives have been matched by car-restricting ones. 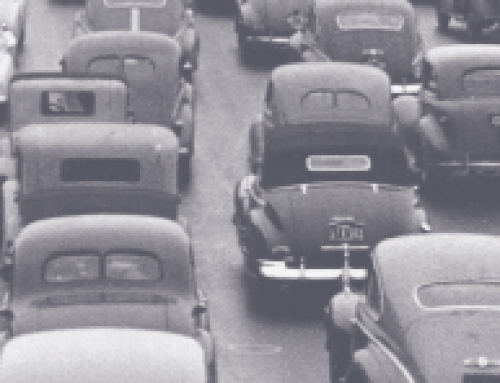 Through a license tag system, forty percent of cars are banned from central-city streets during peak hours every day. Bollards have been installed throughout the city core to prevent motorists from parking on sidewalks and bikeways. Old street-vendor marketplaces were razed and transformed into bricked and landscaped public squares. 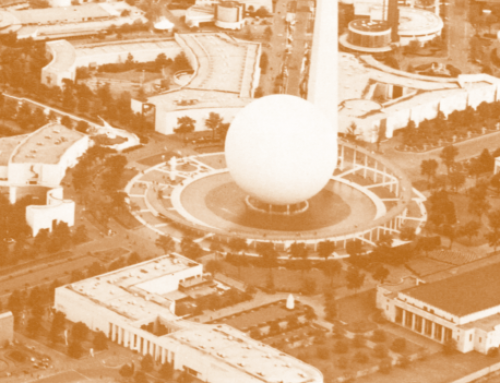 Such enhancements were financed partly by canceling a massive planned ring road and pricey underground metro and by selling off the city’s telephone company to a private venture. How Have The Poor Fared? How can a city in a developing country saddled with guerrilla warfare and known as the kidnap capital of the world justify investing scarce public resources on “amenities” like pedways, bikepaths, and ornate public squares? Aren’t education, health care, sanitation, and food security higher priorities? Enrique Peñalosa, the “Robert Moses” of Bogotá who as mayor radically trans- formed the city’s landscape, sees these investments as social equalizers. The poor, he notes, don’t drive; rather they walk, bike, and take transit. And given the city’s well-publicized security woes, Peñalosa felt that Bogotá had to create a more livable and functional city than anywhere in the western Hemisphere, to stop the brain drain and entice foreign capital and investment. Invoking trickle-down theory, the poor, he reasoned, will eventually reap the benefits of economic expansion. Critics see things differently. The poor, they charge, have borne the costs of past experiments in physical determinism. The replacement of old but active marketplaces catering to the poor with lavish public squares, some contend, has created an elitist cityscape. Bikeways span the flatlands while many in the hillsides live in squalor. Particularly incongruous is the sight of world-class bikeway facilities on the periphery of the city paralleling rutted unpaved roads and open sewage channels. Disconnected sections of paved bikeways dot outer areas. Some defend this as a social experiment, aimed to imprint bikeways on the rapidly urbanizing periphery and to ingrain a “bicycle consciousness” in the minds of the young and carless. It’s cause for concern that since the late 1990s, when Bogotá’s spending spree on transport and urban amenities gained momentum, the poor have become worse off. Bogotá’s Gini Coefficient—a method of measuring income inequality—rose from 0.53 in 1996 to 0.58 in 2001 (0 signifies equality of income and 1 denotes wealth is in the hands of a few). Since 2000, the city’s unemployment rate has risen faster than that of the five next largest cities in Colombia. Within Latin America, Bogotá is also slipping, falling from 13th to 16th in an international competitiveness index of the twenty largest Latin American cities. Critics have seized upon these statistics to demand political change. Bogotá’s current mayor, Luis Garzón, got elected on a platform that pronounced he cared more “about the bicyclist than the bikeway.” The new administration is channeling funds into education, health care, and social programs. 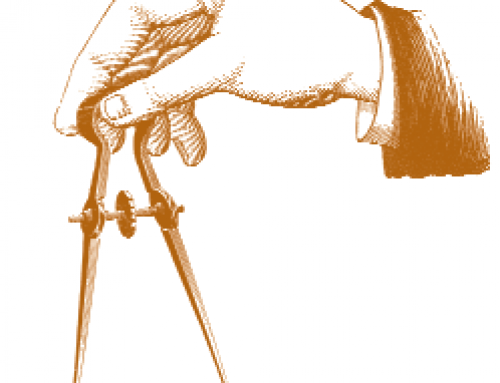 The pendulum has swung from investing heavily in physical capital to focusing on human capital. As in many Latin American cities, Bogotá is dotted with informal housing clusters, some of which snake up the hillsides to hard-to-reach locations. Figure 1 shows the location of informal settlements which in 2001 housed 22 percent of the city’s population on 18 percent of its land area. To date, 375,000 slum residences have been illegally built in 1,433 different clandestinos, or clandestine neighborhoods. Relatively few public services (sewage lines, piped water, paved roads) reach these areas. 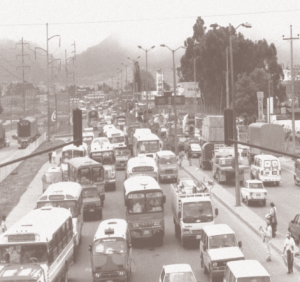 Because of the peripheral locations and limited availability of public transport (partly because of steep terrains and rutted roads), the average daily commute of clandestino residents was two and a half hours in 2001. Many unskilled workers seeking day jobs are forced to pay multiple fares for informal paratransit connections to the city, consuming as much as fifteen percent of daily wages. In response to these acute problems, an innovative land-banking/poverty-alleviation program, called Metrovivienda, was introduced in 1999. Under Metrovivienda, the city acquires plots in open agricultural areas at relatively cheap prices, plats and titles the land, and provides public utilities, roads, and open space. Property is sold to developers at higher prices to help cover infrastructure costs with the proviso that average prices be kept under US$8,500 per unit and affordable to families with incomes of US$200 per month. Because families in the lowest income strata are unable to afford even these prices, households that have moved into Metrovivienda units have come from the upper reaches of low-income groups. To date, three of the four Metrovivienda projects have been built near one of TransMilenio’s terminuses, each between 100 and 120 hectares in size and housing some 8,000 families. By 2010, the program aims to construct 440,000 new houses. Putting housing near stations helps the city’s poor by killing two birds with one stone—i.e., providing improved housing and public transport services. Those moving from peripheral illegal settlements into transit-served Metrovivienda projects enjoy both legal, serviced housing and better access to the city’s economic hubs. One estimate shows the number of jobs reachable within an hour’s travel time increased by a factor of three for those moving from illegal housing (Figure 1) to legal Metrovivienda projects. An important aspect of the Metrovivienda program is the acquisition of land well in advance of the arrival of TransMilenio services. Because Metrovivienda officials serve on the board of TransMilenio, they are well aware of strategic plans and timelines for extending dedicated busway services. This has enabled the organization to acquire land before prices are inflated by the arrival of TransMilenio. A recent study found that those residing close to TransMilenio stations pay higher monthly rents: on average, housing prices fell between 6.8 and 9.3 percent for every five minutes’ increase in walking time to a station. Thus, acquiring land in advance has enabled Metrovivienda to keep prices affordable for low-income households. Transportation is also more affordable. Hillside residents use two different public transit services (a feeder and a mainline), paying on average 3,200 pesos a day (US$1.39) roundtrip. TransMilenio’s feeder buses are free, so its riders pay an average of 1,800 pesos (US$0.78) in daily travel costs. 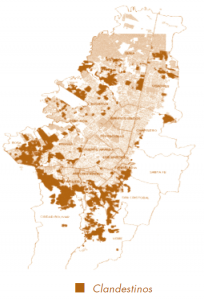 Metrovivienda is an exemplar of accessibility-based planning in a developing country. By coupling affordable housing with affordable transport, Bogotá leaders have improved access to jobs, shops, and services while reducing the joint costs of what often consumes two-thirds of the poor’s income: housing and transport. Whether or not Metrovivienda makes a serious dent in the city’s housing shortages and traffic woes, it is a positive step forward. Over time, it could very well fulfill Peñalosa’s vision and materially improve the distribution of income as well as quality of life in Colombia’s capital. 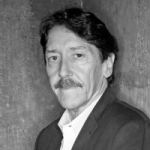 Walter Hook, “Automobile Dependency and the Global Cultural War: Lessons from Bogotá,” Sustainable Transport, no. 16, 2004. Enrique Peñalosa, “Urban Transport and Urban Development: A Different Model,” (UC Berkeley, The Center for Latin American Studies, 2002). 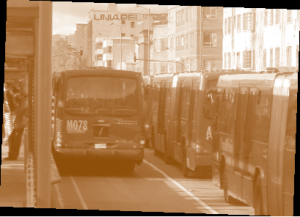 Daniel Rodriquez and Felipe Targa, “Value of Accessibility to Bogotá’s Bus Rapid Transit System,” Transport Reviews, vol. 24, no. 5, 2004. 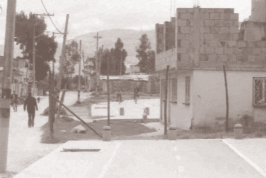 Nicolás Rueda-García, “The Case of Bogotá,” Understanding Slums: Case Studies for the Global Report on Human Settlements, United Nations Human Settlement Programme, 2003. 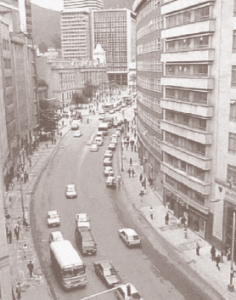 Reinhard Skinner, “City Profile: Bogotá,” Cities, vol. 21, no. 1, 2004.